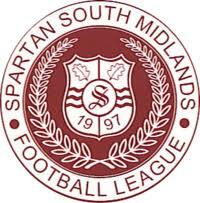 It was the big Bank Holiday battle of the Hertfordshire villages in the the Spartan South Midlands League Division Two yesterday as Bovingdon entertained Sarratt. Both teams had moved across from the Hertfordshire Senior County League over the summer which Bovingdon had won the title by a huge margin of eighteen points from their nearest challenger's Letchworth Garden City Eagles with Sarratt finishing in sixth place of Division One. Just under five miles separate the two team's home grounds so this game can definitely be classed as a local derby. Bovingdon had moved across from a step seven division to a step seven division with Sarratt moving up from step eight so there was no surprise to read that prior to this game the visitors had won one game (v Clean Slate on the opening day of the season) and lost their three following games. Bovvy, despite manager Lee Bircham leaving the club over the summer to be replaced by Martin Standen, had carried on where they left off last season winning three and drawing one of their opening four games scoring thirteen goals in the process. It is Standen's first managerial appointment having played for Bovingdon, Welwyn Garden City, Royston Town, Cambridge City, Colney Heath and Hatfield Town during his career. The pitch at Green Lane was in a great condition and will be the envy of many clubs who visit this season which allowed both sides to play some good football. It was Bovvy who were the better side especially in the first half and they took a 3-0 lead in at half time. Sarratt tightened up their defence during the second half and had a few chances to reduce the scoreline but it was the home side who again had the next chances hitting the bar and post towards the end of the game which was played in front of a crowd of 90 people. The win puts Bovingdon on top of the SSMFL Division Two table three points from currently second placed Totternhoe - they travel to Grendon Rangers in their next game on Saturday. Sarratt host The 61 (FC) Luton in their next game also schedule for next Saturday.